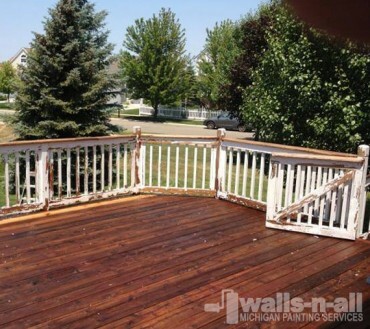 Walls-N-All Painting is your quality deck refinishing choice. We extend our exterior services for people who want their deck done the correct way. We have rooted an incredible deck refinishing process that puts us above the rest. To start, we clean your deck properly using biodegradable stripping and cleaning agents. We will go through a meticulous walkthrough after the cleaning and spot any boards that need to be replaced. Then, our professionals will fit your new boards for you. 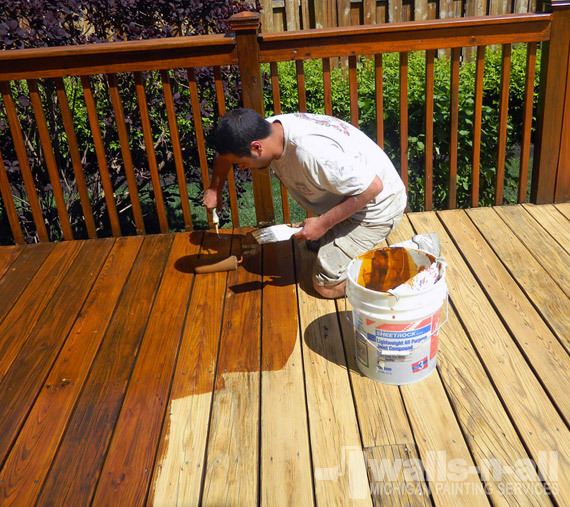 After that, we will seal your deck with a high-quality solid, or semi-transparent stain of your choosing. We’ve come a long way to making sure that our exterior services have reached their pique. Putting your home in our hands is something we honor and take very seriously. We make it a point to work with the homeowners to make sure that they are pleased. 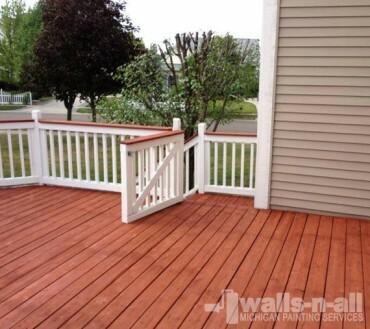 Choose Walls-N-All Painting for your deck refinishing needs and you will be satisfied with the final product. Where'd you hear from us? Walls-N-All Painting is a top notch painting company that has been providing a perfected service to our customers for over 15 years. All of Walls-N-All Painting's employees have many years of experience in the painting business. We have become professionals in every service that we provide. Walls-N-All Painting is the best choice for all of your residential and commercial painting needs. Copyright © 2016 Walls-N-All Michigan Painting Company.